Right now, you’re spending hours creating blog posts and articles, only to spend even more precious (Netflix) time publishing and optimizing. But if you were using Story Chief, you wouldn’t have to. That's right. Story Chief is making publishing and optimizing easy breezy beautiful. So if you want to save hours and have a 🔥 blog, you better get access before codes are gone! 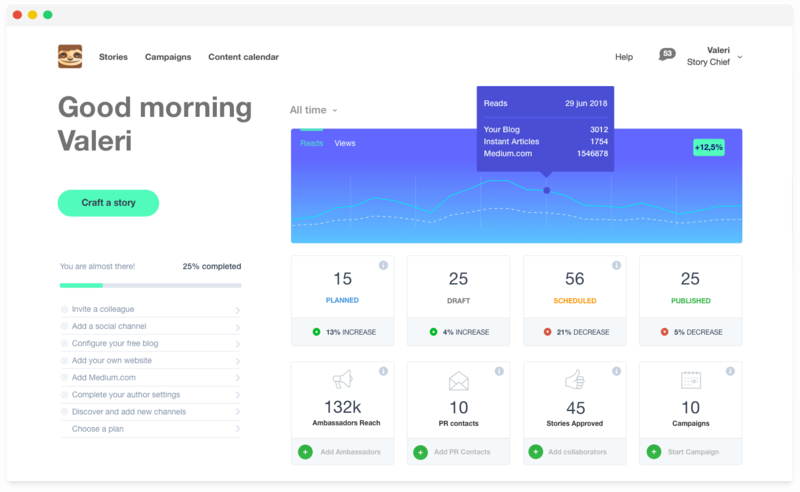 Story Chief is an editorial software that lets you publish across all your channels at once, collaborate with your team, and get insights on how your content is performing. Hands down, the coolest feature Story Chief has to offer is multi-channel publishing. With just a few clicks, you'll have your content on your Wordpress, Medium, RSS feed, HubSpot-powered blog, social media channels, and your email newsletter! And everything you post is dynamic. Meaning, if you notice a mistake in the article after it has been published (we've all been there), you can fix it, and all of your posts will be simultaneously updated. Now, you may be thinking, “won’t posting the same story to so many different channels at the same time hurt my SEO score?” No, because Story Chief is two steps ahead of you and the SEO game. You see, when you publish your article to multiple websites, you’ll have to select the primary channel. That means all of the social links and other previews will lead to the full article located in the primary channel, and all canonical stuff will be fixed, too. Also helping you win the SEO game is the Story Chief SEO & Readability tool. This tool shows you tips on how you can optimize your story! From directly within your doc, you can make changes to climb the SEO rankings! 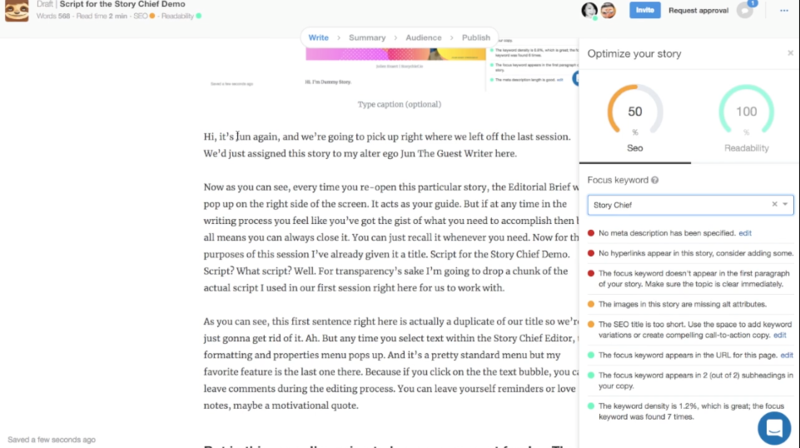 As if the multi-channel publishing and SEO features weren't enough, Story Chief's Editor is a clean and distraction-free canvas designed by writers, for writers. Inside the Editor, you can lay the ground rules for every piece of copy using the Editorial Brief. The Editorial Brief is where you can give your story a title; answer the important who, what, why, and how questions; add additional files; give a word count; set a publishing deadline; and assign the story to a colleague. Then, you or the assigned writer will be free to start cranking away! Story Chief also offers a straightforward WYSIWYG editor that allows you to embed images, image galleries, videos, lead capture forms, and rich media like social content from Instagram posts or Google Maps links. Everyone with access to the document will be able to add comments and feedback — just like a Google Doc, but without the annoying distractions of multiple people editing your work at once. When your story is finished, request approval from your editor or go straight to ‘summary’ where you can see/edit things like categories, tags, and SEO settings. Once your content has gotten the green light and been posted, you can see impressions, views, and reads across all of your channels using StoryChief’s analytics platform. Right now, bloggers, content teams, and SEO specialists are using the Story Chief Marketer Plan to handle all of their content creation and publishing. The Marketer Plan is traditionally $1,188 a year. However, until we run out of codes, you can get lifetime access for just $49! If you are an agency and want to use Story Chief for multiple clients, you can set up sub-accounts for each brand and then switch between dashboards to have everything structured. Each account has it’s own branding, usage and billing. To give your clients access to the Marketer Plan, you'll need to buy one code per client. But, if you want your clients to have access to the Extended Plan, you will need to buy two codes per client. You better put some pep in your step, codes won't be here forever! Create and publish content anywhere now! 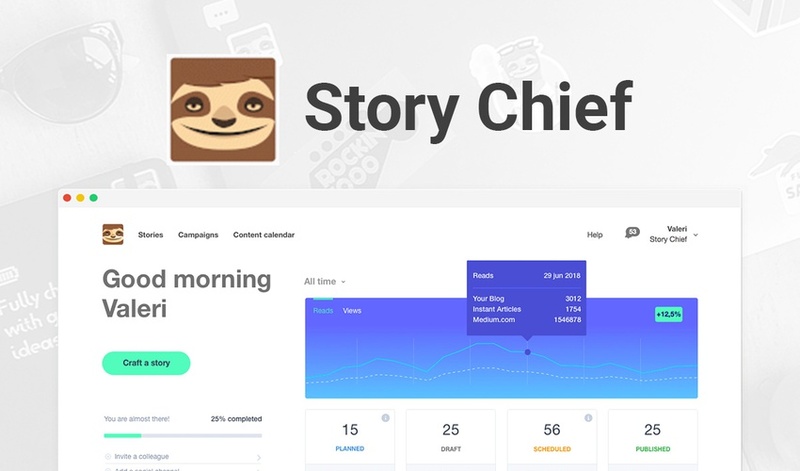 By now, you can tell that Story Chief separates itself from the competition in many, many ways (rich media, lead generation, dynamic editing, adorable sloth logo, etc.). 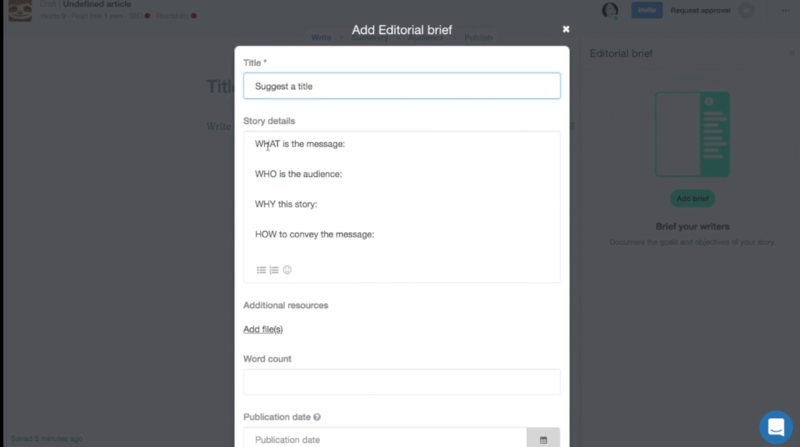 Their powerful UX and the ability to have native articles published to multiple channels instantly is game-changing enough to use Story Chief. You can even have your ambassadors, friends, or fans automatically receive notification emails whenever you post, asking them to reshare your content on their personal networks. On top of that, you’ll have an editorial/collaboration flow that is made specifically for writers and rich content articles. 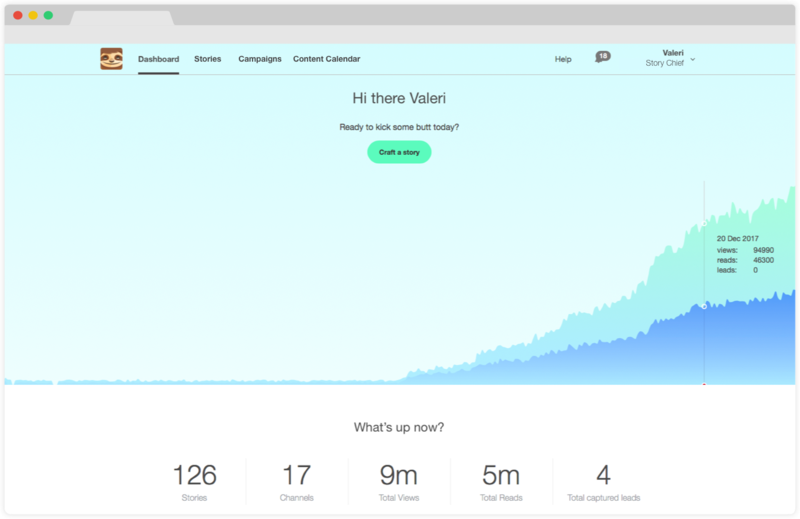 On average, Story Chief saves users up to 4 hours per story! Crafting, editing, and publishing used to be a hassle. But not no mo’ thanks to Story Chief. Grab lifetime access before codes are gone for just $49! Don't miss your chance to get Story Chief now! P.S. Missed the Story Chief webinar? Don't despair, you can still learn all their tips and tricks in this replay. P.S.S. Have more questions? Check out this super helpful FAQ. Plus, you can see what's in the future for Story Chief by taking a look at their roadmap.